Reports were broadcast by social networks and Arab-language mass media, including Russia Today. Leading Arab-language mass media like Al Jazeera, Al Arabia and the Arab service of Russia Today have stimulated refugee flows to Germany by saying they will be guaranteed good reception and problem-free life in a new place. This is the conclusion of the research entitled "Refugees in Germany lured by false promises" by Deutschlandfunk. The monitoring study found that false reports about Germany were shared in social networks and shown in newscasts. In particular, such reports would say that migrants are provided with cars, good jobs and flats by the state. And that newcomers are paid 6,000 euros at once as a welcome money and 670 euros more each month for those who fail to find a job. These videos were used to build a distorted image of Europe and Germany. In one of the clips, Syrian Adam Kadoura walks in front of a car and creates an impression that Germany gives each refugee such a car. "They gave me an Audi but I wanted a Mercedes. But they gave me not a Mercedes but an Audi of 2010," he says and invites everyone to come to Germany. Even big media were observed sharing misleading reports. "There are also large stations like Al Jazeera, Al Arabia or the Arab service of Russia Today, spreading false reports about life in the Federal Republic. 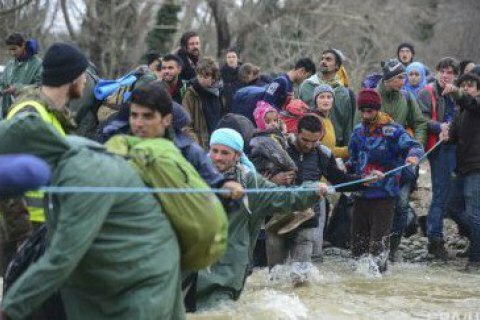 Al Arabia and the Arabic service of Russia Today, for example, said that Germany would pay each refugee 670 euros a month," the article reads. For the smallest number of refugees, these reports are the main reason to flee to Germany. Most of them seek shelter from war and persecution in their home countries. Nevertheless, people from safe countries of origin are also lured by the wrong ideas. And these are not isolated cases. Even the UNHCR, the refugee agency of the United Nations, has recognized the problem. Its entire department is now dealing with the exaggerated positive image of Europe in the Internet. Social networks are systematically scoured for rumors and false reports. Melita Sunjic, head of the Vienna-based department, confirms that Europe is a dream for refugees now similar to what America was in the 19th century. "We see this in the various social media, which are read by Syrians, Afghans, but also in various African countries. They say if you come to Europe, you will immediately have access to work, housing, social assistance, you will be able to study, you will find safety," she said. In her words, the main source are smugglers and people traffickers as they are most interested in big refugee flows as they are a huge source of income. And the other source of information are people who are already in Europe. "They are under such pressure to succeed that they also share photos or video of a good life with their family or post them on Facebook, drawing a much more positive picture than it actually is," she added.